Nerd Block contains licensed merchandise, hand-picked by our team of uber-nerds representing all genres from movies, television, video games, internet, and more! Each item is carefully selected and put through a series of in-house testing based on quality, brand association, collectability, and most important – fun factor. Mwah® was launched in 2014 by Clio®, a leading global designer, manufacturer and marketer of personal care and beauty care products sold in over 25 countries. Their vision with Mwah is to offer an innovative, effective, fresh and healthy spin on lip care that’s still affordable for young women. Mwah lip care products are natural, void of harmful chemicals and preservatives, never tested on animals, and are produced in their 100% solar powered factory in southern California. Disclosure: Says Me Says Mom was not compensated for this post and it not responsible for prize fulfillment. When I was little and my Dad was giving me a bath as soon as he stood and started getting ready to take me out of the bath, I would say "Sit down, Daddy!" When Aurella was 1, if she even heard somebody mention the word bath she would immediately start taking off her clothes and diaper. Me - Ten great things to do in the winter, wow! Here are five. 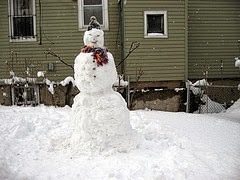 1) Build a snowman - My sister and I once went to a grandparents day with our grandmother, and we won a snowman building kit. It came with a scarf, a hat, a pipe, buttons, a mouth, eyes, and a fake carrot. We tried using a really carrot but I can never make it stick into the snow. Once we made a snowman named Feebo, and we were going to make it a wife named Phoebe, but we never did. 2) Go sledding - Sledding is so much fun. When my sister and I go we keeping creating different ways to go on the sled down the hill and giving each one different names. One of our favorites is called Runaway Sled. You push the sled and when it starts going down the hill, you jump on. Nobody else knows about the place we sled so it's just the two of us. 3) Build a snow fort - I have never actually built a successful snow fort myself. It seems like a lot of fun though. I can never get the snow to stick together. Also, I don't have the patience or the room. 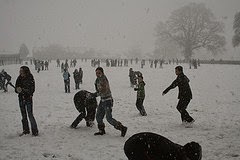 4) Have a snowball fight. I like to have snowball fights, but my sister doesn't because she doesn't like to get hit with stuff. Sometimes. I can get her to have one for a little bit before she quits. 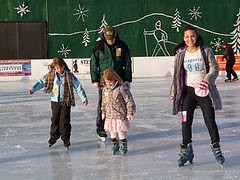 5) Go ice skating - I have only actually been once but it was really fun. I started off slowly but by the end of the time, I was skating really fast around the rink. We went for three hours, and when I took off the skates I couldn't walk. 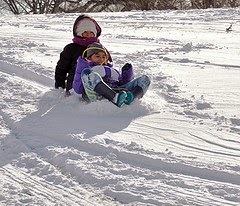 Mom - Here are five more fun things to do in winter. 6) Have a pajama day. Our family loves to stay inside on a really cold day We stay in our pajamas. We eat popcorn, and we watch movies. 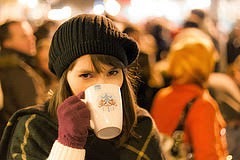 7) Drink hot chocolate. Dunkin Donuts makes really good hot chocolate. They even sell it in K-cups so you can make it at home. They also make really good white hot chocolate. Unfortunately, they don't have that available in k-cups. McDonalds also has really good white hot chocolate. 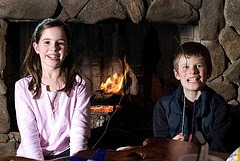 8) Sit around in front of the fireplace or sleep in front of the fireplace - Our family has a tradition where we sleep in front of the fireplace every New Year's Eve. It is fun to watch the flames. Sometimes, when we wake up in the morning, there is still a little bit of flame. 9) Play board games. 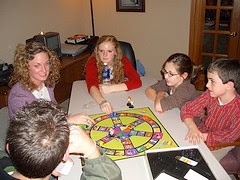 Our family especially likes board games that make you think like Trivial Pursuit, Taboo, and Scattegories. Board games may seem kind of old fashioned compared to some of the technology today, but they are still fun. Also, it's nice to play something that the whole family can play together at once. 10) Bake cookies. 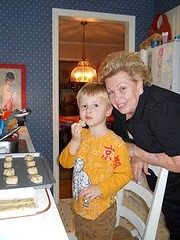 I always used to make sugar cookies with my grandmother. When my kids were little they used to make chocolate chip cookies with my Mom. Of course, we didn't make cookies from scratch.. My husband and my kids, however, do make cookies from scratch. Almost every winter, they make gingerbread cookies, and they love it. Once they built a gingerbread house, but they accidentally put it upside down so it fell apart. And that's our view. What do you think it's fun to do in the winter? Our view: If you want something that is not as expensive as Broadway theater or not as big as Broadway theater but still a step up from your local community theater, try Off-Broadway. Off-Broadway by definition is a theater that has a seating capacity of 100 to 499. 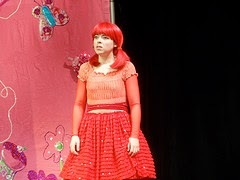 However, often the caliber of the show is just as good as Broadway. Many times shows that premiere Off-Broadway go on to run in Broadway theaters or vice versa. The types of shows that play Off-Broadway are just as varied as the type of shows that play Broadway, maybe even more varied. 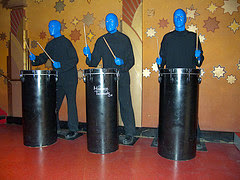 In addition to the typical dramas, comedies and musicals, there are shows that don't really seem to fit into any particular category such as Blue Man Group, iLuminate and Stomp. There are Off-Broadway shows for all different ages and tastes. Off-Broadway shows make great first shows for young children or anyone who might be overwhelmed by the size of a Broadway theater. 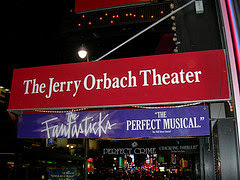 Keep in mind, that while there are some Off-Broadway shows that run a long time like the ones listed above and , a lot of Off-Broadway The Fantasticks shows have limited runs so if you hear about one you are interested in, you should probably go sooner rather than later. For more information about Off-Broadway shows see the above links or see many of our previous Where-To-Go Wednesday posts including the following Disenchanted, A Christmas Carol, The Bardy Bunch and Pinkalicious. See also Broadway.com which also covers off-Broadway as well as Theatermania/Off-broadway. We will also continue to cover Off-Broadway shows in future Where-To-Go Wednesday posts. And that's our view. Tune in tomorrow for another Talking Topics post. This post may contain affiliate links. If you click on a link and make a purchase, we may be compensated. Me - Today I am recommending Aurora Abroad by Karen Kiefer . It was a good book. It was a bunch of fairy tales mixed together. It had a good story. It was romantic. 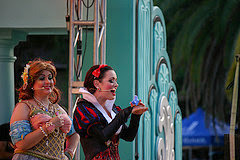 I loved the character of Aurora. She was smart and brave. I admired her but I wouldn't necessarily like to be like her. This book was so good that I literally stayed up the whole night reading it. I would highly recommend it. Mom - Today I am recommending Leaving Time by Jodi Picoult . Leaving Time is very different than any of Jodi Picoult's other books. It is more of mystery. It is the story of Jenna who is searching for her mother who disappeared years ago and may possibly have been responsible for a murder. She is aided in her quest by a washed up detective and a psychic who has lost her psychic ability. I love the unpredictability of this book. I had no idea where the story was going until the end, and I couldn't put the book down until I got there. I would definitely recommend it. Me - My topic for this month is spelling bees. In fourth grade, I won the class spelling bee. I remember I won with the word kindergarten. My sister was in kindergarten at the time. That's how I knew how to spell it. I got into the school spelling bee. Only fourth and fifth graders were in the spelling bee. I lost on the word thermos. The speech teacher who was not a very good speaker was giving the words. Everyone misunderstood what she was saying which was pretty much how a lot of people including me got eliminated from the spelling bee. I thought she said thermal. After that, I did not make it into the school spelling bee until this year. Although one year, I was absent on the day of the class spelling bee because I had poison ivy. This year they gave us a written test and then chose the four best spellers from each community in my middle school. I was one of the four from my community. We had a spelling bee right after winter break. I was really nervous and literally almost threw up. After I got my first word right, I started thinking about things that are important to me or that I love. I calmed down a little bit and didn't feel like I was going to throw up anymore, but I was still nervous and my heart was beating so hard that it was actually hurting my chest. Every time, I got a word right I was shocked because all the words were super hard. I got the word "exonerate" right, and my jaw dropped. In the final round when there were seven people left, I got out on a word that I don't even remember. My friend was the only one who got her word right. Then when she got to the final round where it was just her, she got her word wrong. They brought the six of us back. The same exact thing happened that round. The second time they brought the six of us back me and my friend got our words right so one of us would win and one of us would be the runner up. We kept going back and forth and back and forth. I made it to the one word round twice. Finally, my friend won. I was really glad because she is a much better speller than me. Also, I knew that if she hadn't won, I would have. If I almost got sick just competing in front of a few classes and parents, I would never be able to compete in the Regionals. 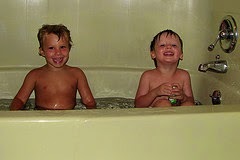 Mom - My topic for this month is how movie and TV watching has changed since I was a kid. When I was a young you either saw a movie when it was in the movie theater or maybe you saw it if it played on TV. However, if you didn't see it one of those places. You didn't see it at all. You certainly couldn't own a movie and/or watch it over and over again. I used to think it would be great to own a movie and watch it when ever you want. Sometimes, it is still hard for me to believe that now we can do just that even though it has been that way for a lot of years already. My grandfather bought us our first VCR when I was in high school. He got it for me to tape soap operas on because at the time I was into watching soaps, and my favorite was on when I was still in school. It was very primitive. You could only set it to record one thing at a time. I don't even think it had a fast forward only a rewind. Nowadays, DVR's are incredibly advanced. You not only can fast forward recorded TV, you can rewind live TV. You can not only set things at least a week in advance or more, you can even record numerous things at once and/or watch recordings in more than one room regardless of where they are actually recorded. I rarely ever watch anything when it is on anymore. I record it and watch when I want to. A lot of people don't even watch on a TV at all anymore. They watch on-line on their computer, laptop, tablet or whatever. Personally, I think watching on a computer, laptop or maybe even a tablet is okay, but I would not want to watch on a screen as small as an mp3 or a watch. Anyway, if TV technology has come that far already I can't even imagine what they'll come up with in the future. Caviar announces new restaurant choices in New York. Getting bored of the same old dinners? Looking for new spots to try in the Big Apple? Let Caviar expand your culinary horizons with five new restaurants that can now be delivered right to your door: Corkbuzz Wine Studio, Pig and Khao, Azasu, The Redhead and Donostia. With over 100 different restaurants to choose from in the Manhattan area, you are sure to find something to please everyone's taste buds ... all from the comfort of your home or office! 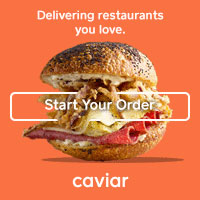 Visit today Caviar create your perfect menu! According to legend, it was Huangdi, the Yellow Emperor, who first taught martial arts to the Chinese people during the Xia Dynasty nearly 4,000 years ago. Today, there are hundreds of different Chinese martial arts styles being practiced by people all around the world. In this workshop, families will be introduced to Shaolin kung fu by an instructor from the New York Chinese Cultural Center. Ages 5 and up. Tickets: $15 (members $10); includes admission to the museum and special exhibition Chinese American: Exclusion/Inclusion. How can one girl start a completely new life in harsh terrain, in the midst of a foreign war? Author Kirby Larson will join us to discuss her Newbery honor winning book, homesteading in the early 1900s, and the impact of WWI on American society. We’ll also see examples of WWI propaganda posters and real letters from WWI soldiers from our library’s vast collections. Recommended for families with kids ages 9-12. Free with museum admission. This program is supported by a grant from the New York Council for the Humanities. Any views, findings, conclusions or recommendations expressed in this program do not necessarily represent those of the National Endowment for the Humanities. Celebrate President’s Day with a Presidential Scavenger Hunt throughout the Museum and create a composite portrait inspired by America’s founding fathers and mothers. It’s also the week of Lunar New Year, so stop by on select days to hear stories, see special Chinese dance performances, and learn all about the intricate art of Chinese paper cutting. All ages. Free with Museum admission. Come see New York Chinese Cultural Center dancers perform traditional Chinese dances. A ages. Free with Museum admission. Learn all about the delicate art of Chinese Paper Cutting, also called Jianzhi (?? ), during this special demonstration by an instructor from the New York Cultural Center! During Chinese New Year celebrations, paper cuttings in red (a lucky color) are used as decorations. All ages. Free with Museum admission. Come see the students of the National Dance Institute perform both traditional and modern dances inspired by their 2013-2014 curricular theme “China!”. All ages. Free with Museum admission. What was life like in Colonial New-York? During this four-day history camp at the New-York Historical Society, campers will step back in time to this fascinating era! Led by educators, librarians, conservators and curators, campers will go behind the scenes to learn how museum exhibitions are made; see fascinating artifacts, documents and paintings that are rarely on view to the public; and play fun colonial games! At the end of the week, campers will mount their very own pop-up exhibition on New-York in the 17th and 18th centuries. For current 6th, 7th, and 8th graders only; $500 per camper ($400 per Member camper). For more information, or to register your child for any of this year's camps, please emailcamphistory@nyhistory.org or call 646-293-9922. In this Spanish language program, families will examine paintings of New York buildings and will uncover the historical events and everyday lives that have transformed these spaces and our community. Families will also create cut-out paper buildings and develop a story for each floor. Ages 4-10. Free with RSVP (required): e-mail paulina.perera-riveroll@nyhistory.org or call (212) 485-9276. This week we’re celebrating Black History Month and exploring diversity. Children will explore the similarities and differences between a New York boy and his friend in India. Children will then make a people paper chain collage. It’s Valentine’s Day this week! We’re celebrating the love we have for our family with this lovely story of a day spent with a wonderful grandmother. Children will then make a love heart necklace. This week we’re celebrating the Chinese New Year with a closer look at the celebrations around Chinatown. Children will then make a dragon finger puppet. We’ll be celebrating Black History Month with this beautiful calming story about change and community. Children will then make hanging peace birds. Drop in to try your skills at one of the oldest forms of embroidery in the world. Beginning cross stitchers and younger children will learn the basic stitch and create a bookmark with their new skill. More seasoned stitchers and older children and adults can continue working on their bookmark or branch into more complicated designs—make a handcrafted gift for someone! Ages 7 and up. Free with Museum admission. Families discover New York history through tales of the past. In February, celebrate our Chinese American exhibition with Lunar New Year tales. Ages 4 – 7. Free with Museum admission. Chinese New Year means red envelopes filled with lucky money and Sam cannot wait to spend his. What will he decide to spend his lucky money on? Sweets to eat? Toys to play with? Or maybe an act of kindness? Come learn about all the special traditions involved in welcoming the New Year – from sweeping the old year out of the house to awakening the fearsome dragon! Ready…set…GO! Thirteen animals have been invited to compete in an epic race by the Jade Emperor to determine the order of the Chinese Zodiac. Who will cross the finish line first? Chinese New Year is a time for family reunions big and small. Come hear the story of when little Maomao’s father comes home to celebrate the biggest holiday of the year. 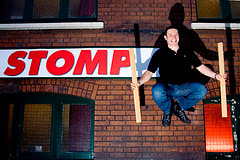 Funny Friday - Where is it? 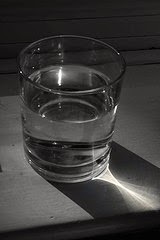 My grandfather said something about the glass being half-full or half-empty and Aurella wanted to know what glass where was the glass? We were at my Mom's house and Aurella was telling her cousin a story about when one of her toys allegedly pushed another of her toys down the stairs at our house. 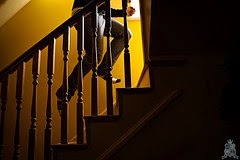 Her cousin kept saying "What stairs? "These stairs right here?" she kept asking and pointing to my Mom's stairs. We welcome you to share your funny stories with us. Tune in Sunday for a Sunday Scoop. Me - New York Fire Museum, wow! The NYC Fire Museum was cool. It was a lot more interesting than I thought it would be. It used to be a real working fire house. However, I don't understand why they didn't have a pole. They had a lot of different fire trucks. You couldn't go on the fire trucks. However, you could dress up in a fireman's jacket and helmet. You could ring the bells. You could pretend to spray the fire house, and they even had a pretend fire ax. They had a fire safety movie. It was more for little kids. When the firehouse was still a working firehouse, there was a dog that hung around. They adopted him as their mascot. There is an exhibit about the dog at the museum. Upstairs, they had a bunch of different fire helmets from different years and places. Some of them looked more like top hats. The museum is not very big so it is a good place to visit when you don't have a lot of time. Mom - We went to the New York City Fire Museum because we were in the area and we had time. We ended up having a good time there. It was interesting to look at the different fire trucks and see how fire trucks evolved over the years. It was fun to look at all the different fire helmets some of which were really elaborate and/or colorful and some of which didn't look like fire helmets at all. It was funny to see my daughter, Aurella dressed up in a firemen's helmet and coat. She also got to pretend to spray a fire hose and to hold a pretend fire ax. She really got to ring various fire bells. Melia got to ring the fire bells too. Other objects we got to see at the Museum included fire alarm boxes from various times, firemen's gear, and tools. I was surprised to learn that even with everything on display in the museum, there are still many more objects that are not on display. There are so many objects in the museum's collection that they cannot display all of them at any one time. Also, some of the objects are too fragile too display for too long. Accordingly, some exhibits are permanent and others change so if you go to the museum and then you go again at another time, you may see some different things. And that's our view. What would you be interested in seeing at the New York city Fire Museum? 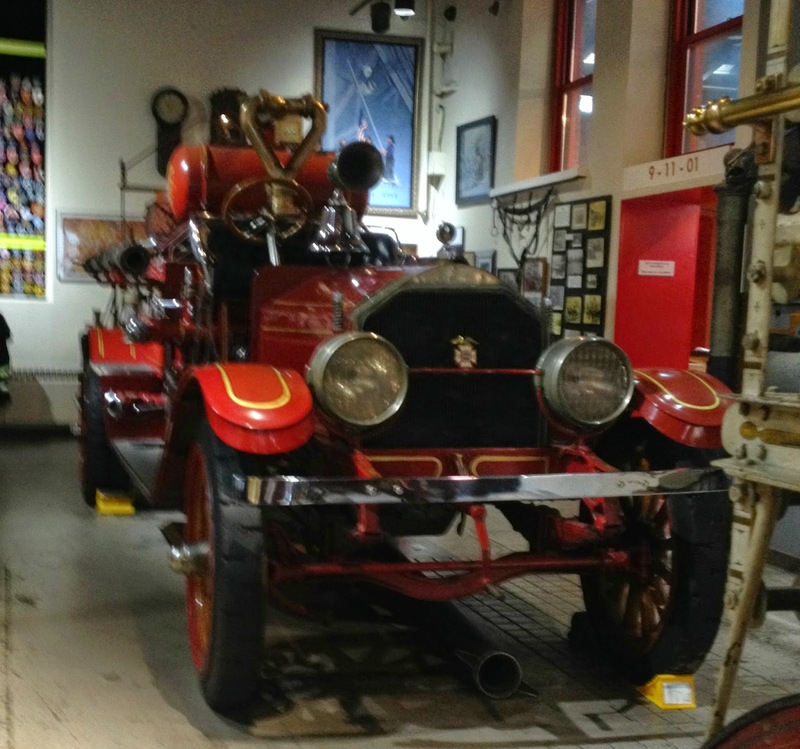 Our view: The New York City Fire Museum is a lot more fun and interesting than you would think it would be even if you are not particularly interested in firemen or trucks. Anyone is particularly interested trucks will especially love the museum because there a number of different fire trucks from different periods of times. While kids will probably be disappointed that climbing is not permitted on any of the fire trucks on exhibit, there are still plenty of fun things for them to do. They can try on a firemen's hat and coat. They can learn how to spray a fire hose and pretend to spray. They can hold a pretend fire axe. They can ring various fire bells some of which are especially loud. They can see a cartoon movie on fire safety featuring Sparky the fire dog. For adults (and maybe children too if they are interested) in addition to the fire trucks, there are fire helmets from various times and places as well as medals and other things. There is also an exhibit that deals with 911 but that area is set off from the rest of the museum so you don't have to see it if it will upset you or your children. It is really very tastefully done anyway and is not overly morbid or scary. Overall, even though there is a lot on display in the museum, it is not that big and does not take that long to go through unless you intend to linger for a long amount of time over every item. Therefore, it is a good thing to do if you are in the vicinity and don't necessarily have a lot of time. It is also a good choice if you don't want to spend a lot of money because the cost is only $8.00 for adults and $5.00 for children 2-12, seniors, and students (with valid ID). Children under 2 are free. If you live in the vicinity and your child is particularly interested in cars and trucks and/or firemen, the museum might be a unique birthday party idea since they do host parties. For more information about birthday parties or about the museum in general go to http://www.nycfiremuseum.org/. And that's our view. We will also be talking more about the New York City Fire Museum in tomorrow's Talking Topics post. 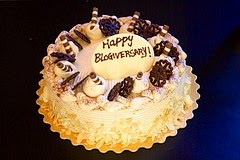 Today is our 4th blogiversary! We started this blog on this date back in 2011 with a post on that year's Golden Globes so in honor of that we posted about this year's Golden Globes (as well as this year's People's Choice Awards) in yesterday's Talking Topics post. We may have received some of the products discussed here for free for review purposes. This post also may contain affliate links, if you click on a link and make a purchase, we may be compensated. Any and all opinions expressed here are our own based on our experiences. Me- Today I am recommending e.l.f. Cosmetics . They are inexpensive. They make pretty much every kind of make-up and brush you can think of. They work well. They are easy to use as far as make-up goes. It depends on your skill level. They are great for cosmetics on a budget. Mom - Today I am recommending the Ozeri Ultra 42" Wind fan, an adjustable oscillating tower fan with noise reduction technology. This fan is easy to use. It is much quieter than other fans. It is lighter and thinner than other fans so it is easy to move around and takes up less room. It has three different speeds and three different modes. Night mode is slower and quieter. Normal mode is faster and louder although still not as loud as other fans. Nature mode is kind of like a tropical breeze. It has a timer that you can set for the fan to automatically shut off. The only bad thing about the timer is that it can only be set for increments of an hour so you can set it for one hour, two hours up to 12 hours, but you can't set it for a half hour or forty five minutes or an hour and a half or anything like that. The fan comes with a remote control. The remote control fits nicely into the compartment on top of the fan where the controls on the fan itself are located which makes it easy to store the remote when you are not using it. The compartment has a cover that snaps shut so that there is even less chance of the remote getting lost when it is not in use. All in all, this is best fan we have ever had and definitely the easiest one to use.